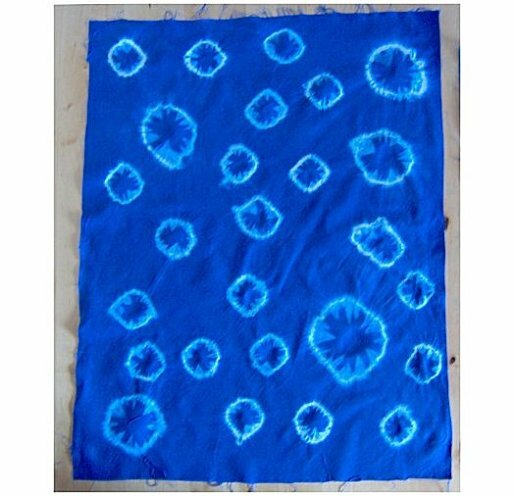 Ironed cotton fabric or t-shirt etc. 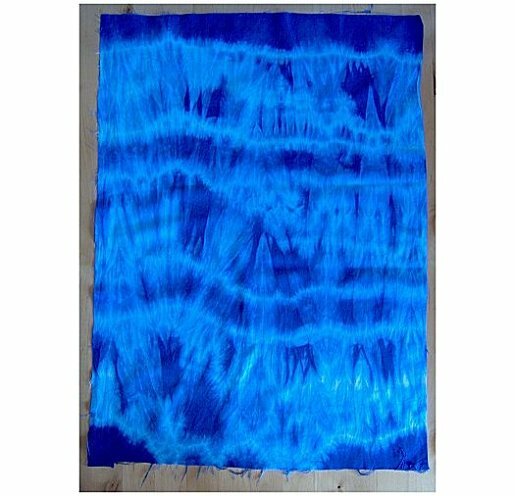 I used ‘ Dylons hot water dye No.16 Arabian Night’ when I tie-dyed, but you can also use cold water dyes for similar results (this may be a safer choice if tie-dyeing with younger children) but remember when you buy the cold water dye to also get the fixative needed. Always follow the manufacturers’ instructions. 1. 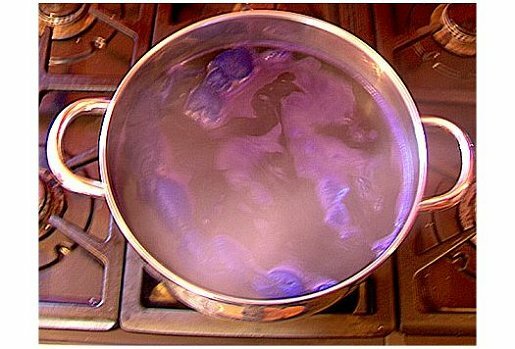 Tie-dyeing is actually very simple, but the results can look very exciting. 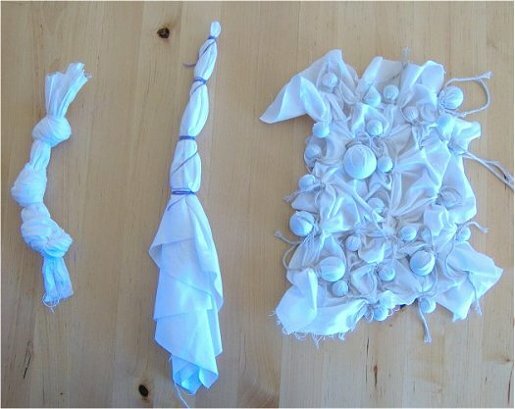 Prepare the fabric depending on the effect you require. 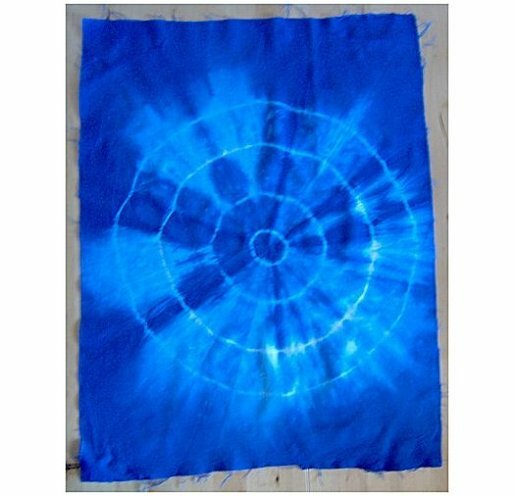 Here are 3 different examples of tie-dyeing: Circles, Concentric pattern and Bold stripes. 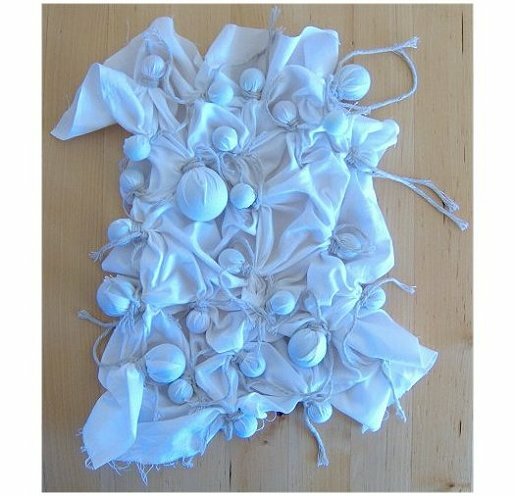 Circles – Tie small round objects such as marbles or stones into the fabric, hold in place with string or elastic bands. Concentric pattern – Pinch the centre of the fabric and let it fall into drapes. 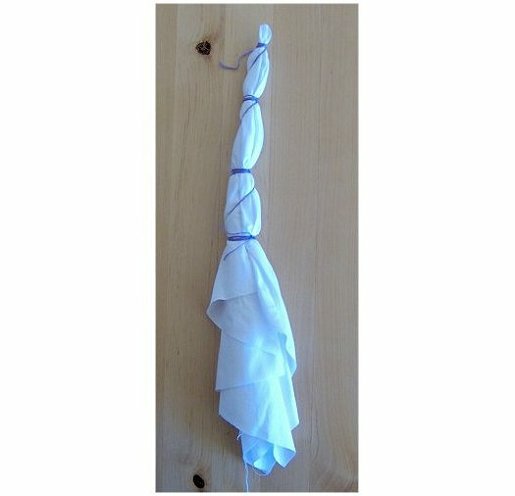 Bind it at intervals with the string or elastic bands. 2. Put on the rubber gloves and dye the fabric. Always follow the manufacturers’ instructions for the dye you have chosen. Remember to rinse thoroughly. 3. 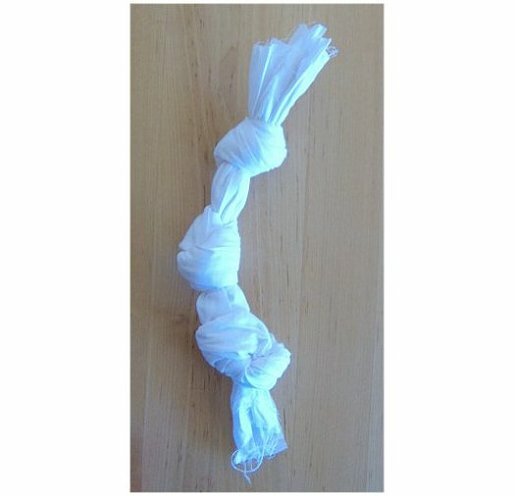 Undo the string/elastic bands and knots and dry the fabric. 4. Iron the fabric/t-shirt. And don’t they look good!